From royal palaces to humble shacks, mansions to cottages, discover all there is to know about Tudor homes! 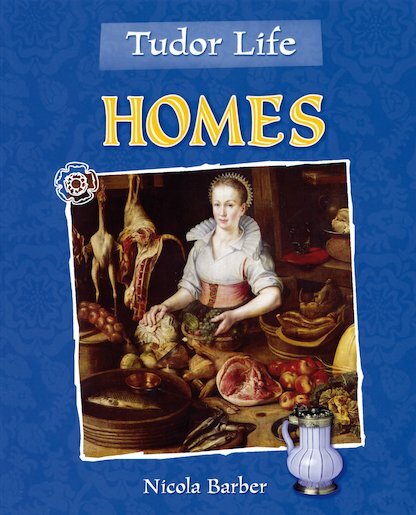 In this picture-packed book, children can find out about Tudor domestic life, and how the different social classes of the time were housed. Discover how homes were built, which fruits and vegetables were grown, and how food was stored and cooked. Learn how households were run, what the servants did, and how people stayed clean and healthy. Packed with surprising details, this book shows how the advances of Tudor times have affected our life today. It includes panels focusing on famous people and everyday objects of the time, plus quotes from historic novels and documents to link with the Literacy curriculum.